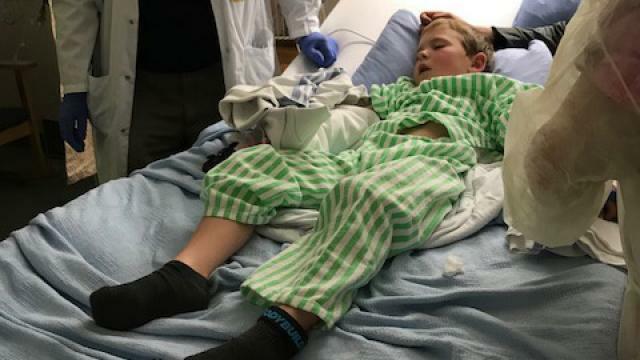 Dec. 11, 2017 4:12 p.m.
Landen’s mother, Jillian Lanthier, took him in to Victoria General Hospital where he was and sent on his way with some Tylenol, believing it was only a sprain. Finally on June 14, Landen was diagnosed with Systemic Juvinile Idiopathic Arthrits (SJIA), a disease that causes his body to attack itself, leaving him with crippling muscle and joint pain and with virtually no immune system. The disease is so severe, even a common head cold can be potentially fatal for him.